Brand new updated third edition covers everything you ever wanted to know about mules. History, breeding, care, training, humor, and more... Profusely illustrated with artwork and photographs. Softcover, 220 pages. It's BACK!!! 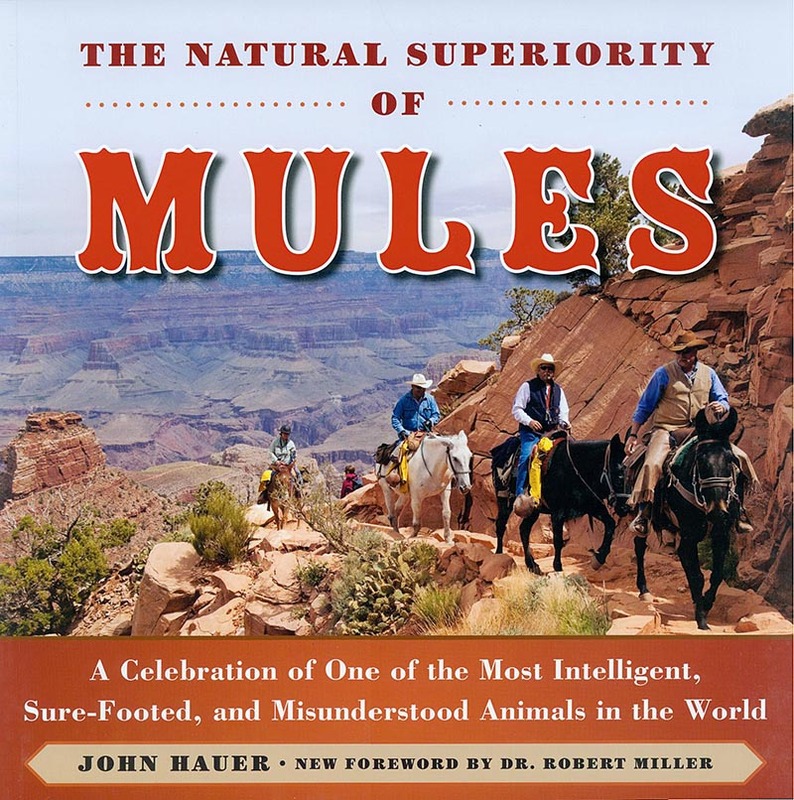 After being out of print and SOLD OUT for a while, mule expert and author John Hauer took the reins and arranged for this third edition of his classic book THE NATURAL SUPERIORITY OF MULES to be printed! This book is an impressive compilation of all information to do with mules. It's profusely illustrated in full color with all manner of photos, drawings and historical ephemera. The Natural Superiority of Mules will leave even the uninitiated wondering what all the fuss is about with these folks who love their mules. They even made up a word: Endearance. John describes it as "descriptive of the way in which many people react to mules; they often want to hug and even kiss them. It is partly that "doleful, soulful countenance" that they inherit from the donkey and partly the fact that many mules are very affectionate and seem to really like people." Inside readers will find all manner of interesting facts and trivia, including content by Robert M Miller DVM, Meredith Hodges, and even Ann Landers!